Η Mercedes-Benz ανακοίνωσε πως θα γίνει η πρώτη αυτοκινητοβιομηχανία η οποία θα προσφέρει Car-to-X τεχνολογία στους πελάτες της. Το σύστημα θα είναι έτοιμο μέσα στο 2013 και θα επιτρέπει στα αυτοκίνητα που θα το διαθέτουν να επικοινωνούν μεταξύ τους. Η Mercedes υποστηρίζει πως το σύστημα αυτό θα προσφέρει στους οδηγούς τη δυνατότητα να λαμβάνουν έγκαιρα ειδοποιήσεις σχετικά με πιθανούς κινδύνους, έτσι ώστε να προλάβουν να πάρουν τα κατάλληλα μέτρα για να αποφύγουν ένα ατύχημα. Παραδείγματος χάρη, αν ένα αυτοκίνητο που είναι εξοπλισμένο με το εν λόγω σύστημα, χαλάσει ή εμπλακεί σε ατύχημα, τότε θα ειδοποιήσει τους άλλους οδηγούς ώστε αυτοί να μπορούν να αλλάξουν λωρίδα κυκλοφορίας έγκαιρα. Επίσης το σύστημα θα παρέχει στον οδηγό και δεδομένα σχετικά με την κυκλοφορία, έτσι ώστε να αποφεύγουν περιοχές με μεγάλη κυκλοφοριακή συμφόρηση. Το σύστημα θα παρέχεται με το πακέτο Drive Kit Plus το οποίο απαιτεί από τους κατόχους του αυτοκινήτου να έχουν ένα smartphone στο οποίο θα υπάρχει εγκατεστημένη και η εφαρμογή Digital DriveStyle. Η Mercedes αναγνωρίζει πως η λύση αυτή δεν είναι η ιδανική, αλλά την επέλεξε αφού έτσι ήταν ο γρηγορότερος τρόπος για να αναπτύξει την τεχνολογία και να τη περάσει στη παραγωγή. Αντίστοιχο σύστημα ετοιμάζει και η BMW, η οποία δεν έχει ανακοινώσει το πότε θα το περάσει στη παραγωγή. Stuttgart. As part of its “Intelligent Drive” strategy, Mercedes-Benz is all set to bring Car-to-X technology to our roads by the end of this year which will enable the exchange of information between individual vehicles as well as between vehicles and the traffic infrastructure. Through the use of Car-to-X communication, information on potential road traffic dangers can be passed on to drivers at an early stage so that they can take appropriate action and even help to avoid critical situations arising in the first place. According to Prof. Dr. Thomas Weber, Member of the Board of Management of Daimler AG responsible for Group Research and Mercedes-Benz Cars Development: “With the introduction of Car-to-X technology, we are once again reaffirming our tradition as a safety pioneer, and demonstrating that we are continuing to bring innovations to the roads with benefit for both our customers, and also other road users. In addition to enhancing safety and convenience, Car-to-X technology can also contribute to making mobility more efficient by using the highly precise information on traffic conditions available via Car-to-X communication, for example to improve the flow of traffic by controlling traffic light signals. Car-to-X technology set to make an appearance this year Mercedes-Benz to bring Car-to-X technology to the roads by the end of this year. As part of an initial step the Drive Kit Plus will be used, which in combination with a smartphone and the Digital DriveStyle app developed by Mercedes-Benz turns the vehicle into a simultaneous transmitter and receiver of information. Daimler is using this mobile communication-based approach because it promises to offer the quickest way to deploy the future technology and therefore also the quickest possible shortcut to unlocking the safety potential of Car-to-X technology. 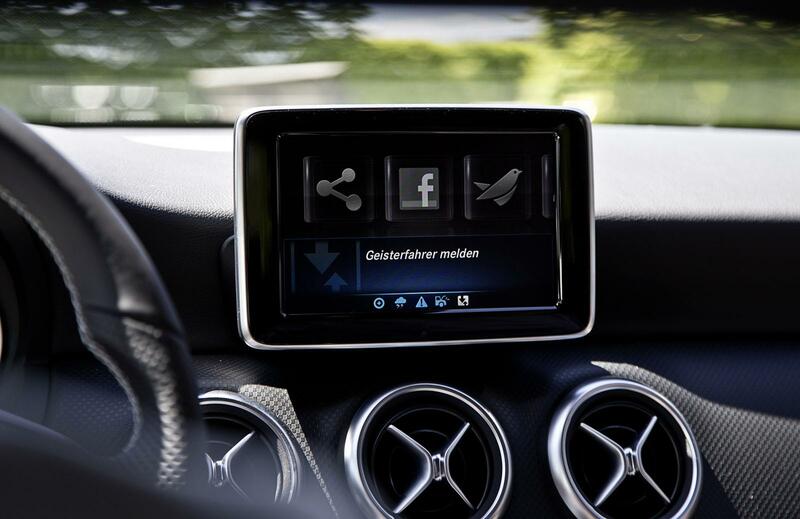 However, Daimler is also involved in the further development of Car-to-X communication and, based on a hybrid approach, is also able to extend its systems into the area of so-called ad-hoc communication between vehicles. How does Car-to-X technology work in vehicles? When warning messages are issued in the vicinity of the vehicle, from example by an emergency services vehicle or a broken down vehicle, the driver receives a warning in advance in good time and the hazardous location is marked on the map. With this information he has the option of adjusting his driving style and speed in such a way that a dangerous situation does not even arise in the first place. 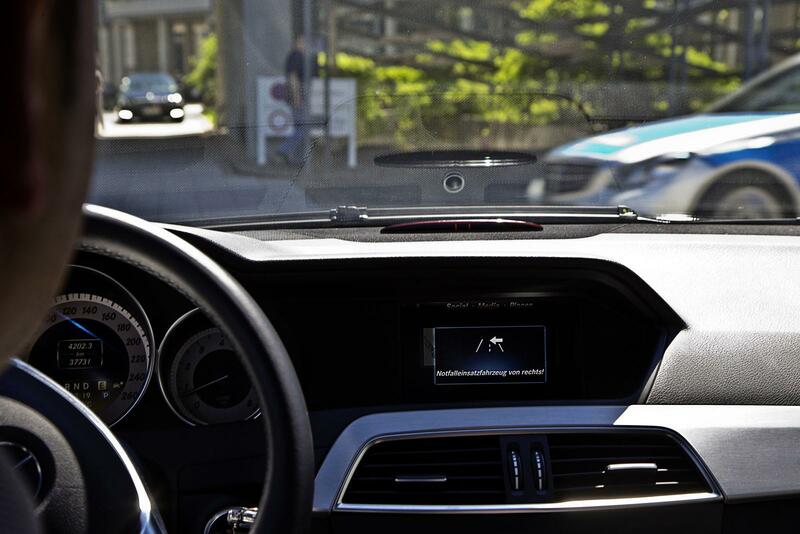 Thanks to Car-to-X technology, the driver can also be warned at an early stage about wrong-way drivers or dangerous weather conditions. In addition to receiving warning messages, each vehicle fitted with Car-to-X communication can also transmit information on dangers to other road users and therefore contribute to enhancing road safety. 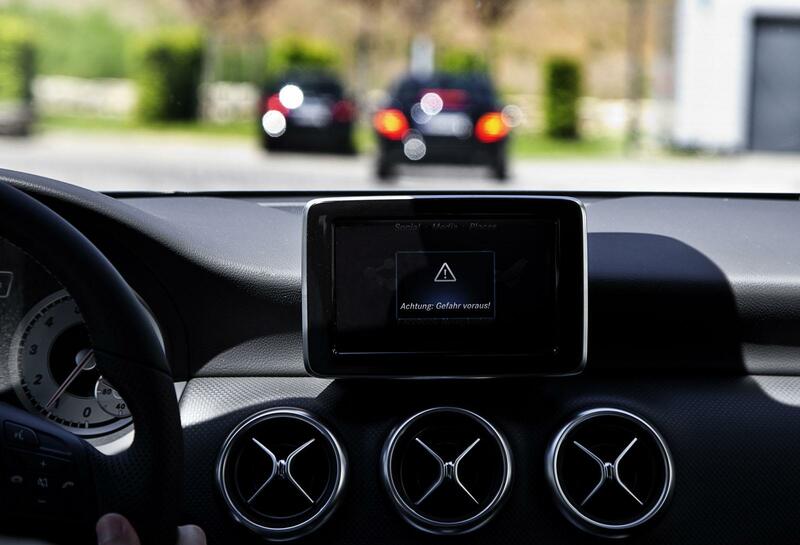 Mercedes-Benz passenger cars are able to detect many of these dangers automatically and without the driver being required to take any action, thanks to the seamless integration of the Car-to-X system in the vehicle’s own systems. For dangers which are not detected automatically, or which cannot yet be detected automatically, an efficient manual notification option has been created. At the press of a button, immobile vehicles or animals on the road, wrong-way drivers or shed loads can be notified via the Mercedes Cloud. This then sends a warning message to all vehicles fitted with Car-to-X technology which are in the vicinity of the hazardous location. Of course when developing the system, emphasis was placed on ensuring that anything which may distract the driver from the road conditions is avoided. 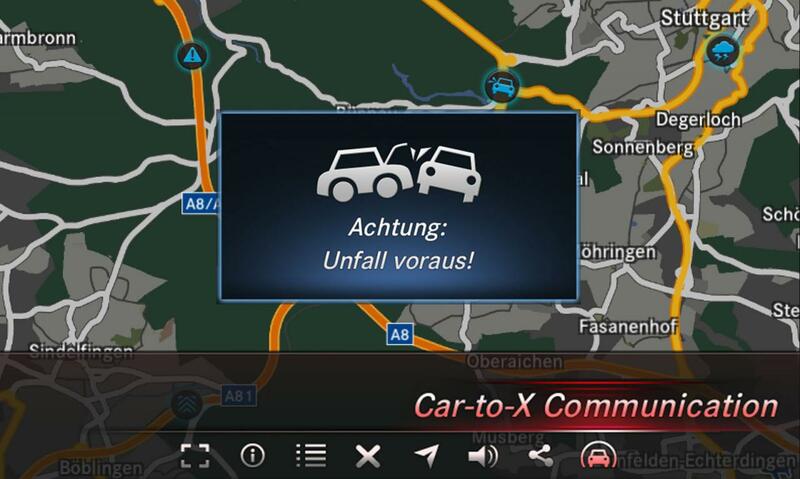 The Car-to-X communication works in the background and provides the driver with highly accurate information on situations which may have an impact on safety. The system ultimately works so reliably because Car-to-X technology exclusively distributes up-to-the-minute information on current dangers. 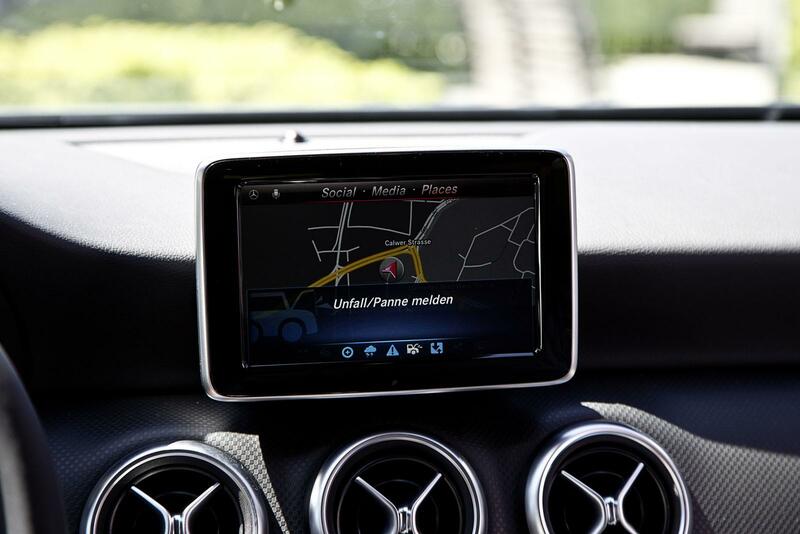 As such, Car-to-X technology fits into the Mercedes-Benz “Intelligent Drive” strategy, making additional information available for merging with sensor data. Modular approach ensures quick market launch and enables the technology to be retrofitted in many Mercedes-Benz vehicles Since Car-to-X technology can contribute to making road traffic safer overall, it is particularly important for Mercedes-Benz as a safety pioneer to bring this technology to our roads quickly and make its use as widespread as possible. Through the integration of Car-to-X technology in the Drive Kit Plus and the Digital DriveStyle app, Mercedes-Benz is creating the ideal conditions to enable as many Mercedes-Benz customers as possible to benefit from Car-to-X technology. This is because the Drive Kit Plus can be ordered for new vehicles and also installed in stock vehicles as a retrofit solution. This means that Car-to-X communication is not dependent on the market launch of a new model, and will be offered to customers across the board from the end of the year. 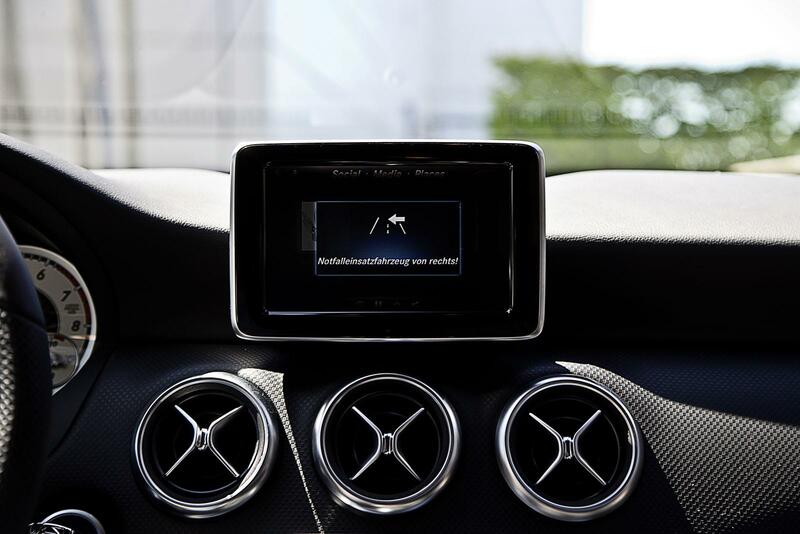 Naturally Mercedes-Benz is also working on full system integration of Car-to-X technology in future models to enable drivers and other road users to benefit from additional safety and convenience. Besides equipping its own model range with Car-to-X technology, the company is also maintaining close ties with other stakeholders. 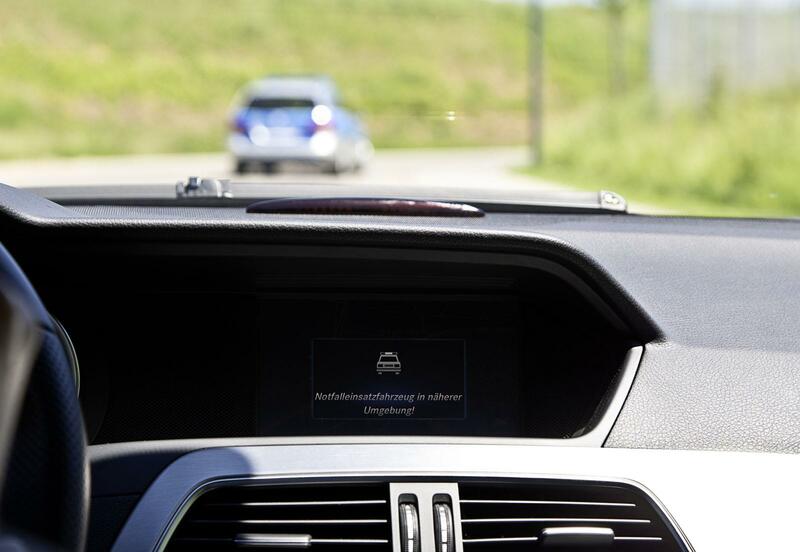 Since the use of Car-to-X systems will increase with each new additional participant, the aim is to seek an exchange of data – for example on reported hazardous locations – with other vehicle manufacturers. Ideally Car-to-X technology could be fitted as quickly as possible and in as many motorway maintenance vehicles, police or emergency services vehicles as possible. 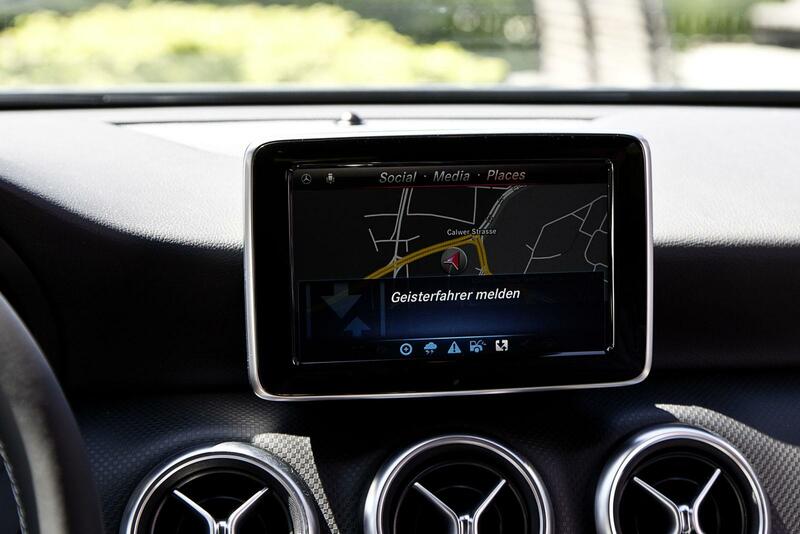 Pioneer of Car-to-X communication Daimler spotted the tremendous potential of Car-to-X communication at an early stage and for decades has been a driving force behind the research and the development of this technology. The company therefore initiated research projects designed to create the necessary technology base and has been, and still is, involved in major projects around the world focusing on Car-to-X communication. 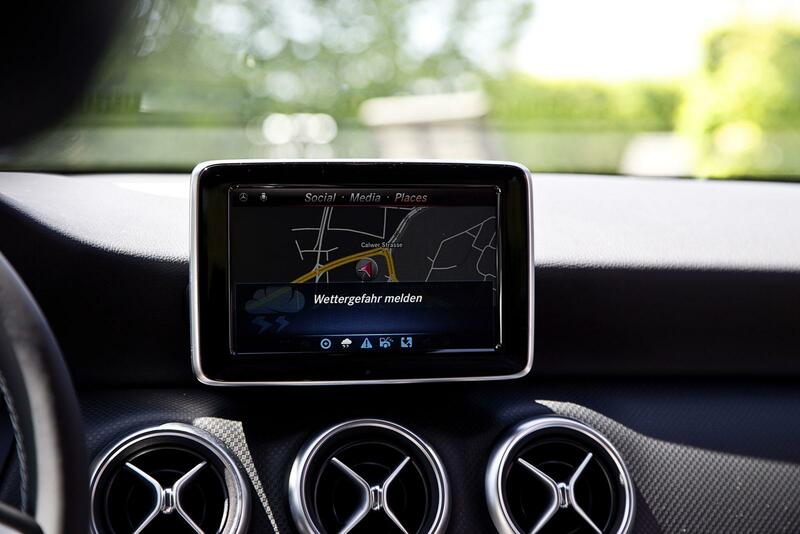 As a founding member of the Car 2 Car Communication Consortium, Daimler is actively working on a Europe-wide standardised system for Car-to-X communication. 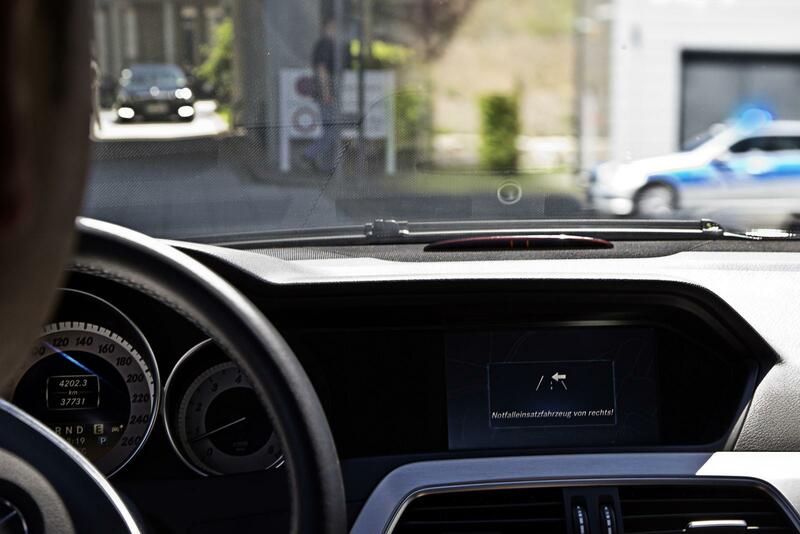 And by acting as the project manager of a German and European field trial for the practical testing of Car-to-X communication, Daimler is also driving force behind the preparations for the market launch of Car-to-X systems.